In today’s rapidly changing and highly complex business environment, the need to be market-focused and customer-centric is more critical than ever. The relationships with your customers are paramount to growing your business because satisfied customers become loyal customers who, in turn, will refer new customers. However, encouraging online visitors to engage and purchase from an online store is one of the biggest challenges retailers are facing today. Increasing competition in this area has given rise to innovative tactics, promotions and incentives, making it all the more difficult to attract and retain new customers. In our article we will explain a few strategies retailers can adopt to bring in new customers – and keep them coming back. Loyalty programs are designed to encourage loyalty to a business and build relationships with customers, which results in increased revenue with continued patronage. Offering loyalty points can increase repeat shopper annual visits by up to 20% to 30%. Rewarding your customers with loyalty program promotions, coupons and other offers can help drive return visits to your site, and even help spread the word about your business through word-of-mouth or social media to increase you customer base. Try to respond to customer e-mails and phone calls within one business day – preferably the same day it was received. We have seen online businesses and stores that had amazing value propositions and incredible deals but a lack of turn-around and responsiveness. Often, customers need help in the sales and fulfillment stage. Simply answering their questions or helping to offer solutions for problems they encounter can build customer loyalty. Even if a customer has experienced a problem with your store, it has not firmly destroyed your relationship with them. Actually, solving a problem can be a perfect opportunity to build long-term customer relationships. Offering promotions is another way to increase customer loyalty and strengthen relationships with customers. For example, free shipping has been a very popular promotion with customers. In fact, it has become so prevalent that some online shoppers won’t complete their orders unless free shipping is an option. Other promotions that frequently increase sales and customer loyalty include giveaways for which customers must provide some information about their buying habits, promotional e-mails and deals of the day. Retailers have long realized that customer service must be “Job No. 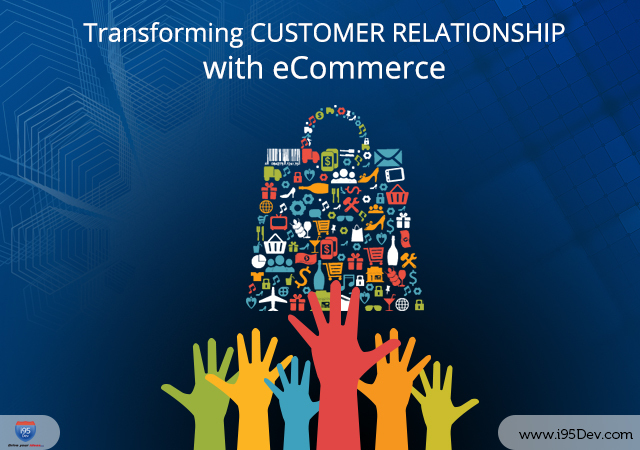 1,” which has led customers to demand a higher level of personalized service across all retail shopping channels. To provide such personalized services, businesses need a centralized repository of customer data and other customer server applications. Data that is efficiently organized and properly analyzed allows businesses to paint a fuller picture of each customer – their lifestyle and their preferences – and informs the retailer how best to engage that customer at various touch points (e-mail, online service chat, point of sale, etc.) and with which promotional offers. A beneficial byproduct of this data collection is the ability to measure customer lifetime value based on past transactions.